The name Neil Larsen might not immediately jump off the page to average music fans, but to those in the know, he’s a legendary keyboardist with credits on some 150 prominent albums. And he just so happens to be on one of this decade’s most anticipated tours, linking up with the legendary Leonard Cohen for a several-leg stint across the globe. 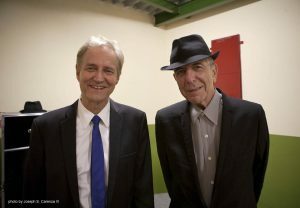 Neil Larsen appears with Leonard Cohen at Rosemont Theatre on October 29th. Much of that magnetism and warmth is enhanced from Larsen’s own playing in Cohen’s band, where he tickles the Hammond B3, along with the Wurlitzer EP200 electric piano (“That Don’t Make It Junk”) and the Yamaha DX-7 electric piano (“Ain’t No Cure For Love”). But no matter what the tunes, the band and its vocal leader are in fine form in spite of Cohen’s lengthy hiatus. 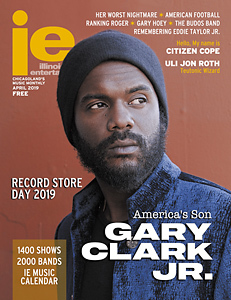 Outside of his stage conquests, Larsen’s been a go-to guy in the studio, starting with television jingles in New York, followed by countless album sessions. His first two collaborations were with singer/songwriter Don McLean and classic rockers Foghat, though he found much more success after heading west. Thanks for the terrific article about Neil Larsen. What an amazing career he has had to date! I had the pleasure of seeing Leonard Cohen on tour and Neil was outstanding. And “impeccable too” – to quote Leonard. Actually all of Leonard’s musicians and singers are superb! Now I’m wondering what was the film for which Neil and Elvis Costello provided the soundtrack! hope your well. Best in the west . I am wondering how you are? I am in the east cost now where you started from.